What knowledgeble baseball fan hasn't heard the classic Braves verbage "Spahn and Sain and pray for rain"? In a five season span Warren Spahn and Johnny Sain combined for 181 wins. 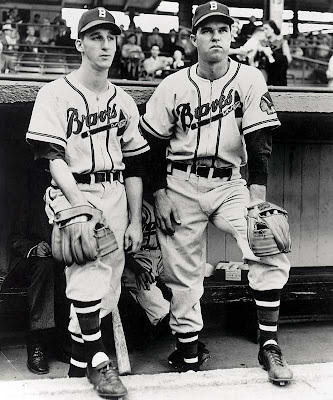 Well, it's raining on the Braves, but they're missing the Spahn and Sain part.